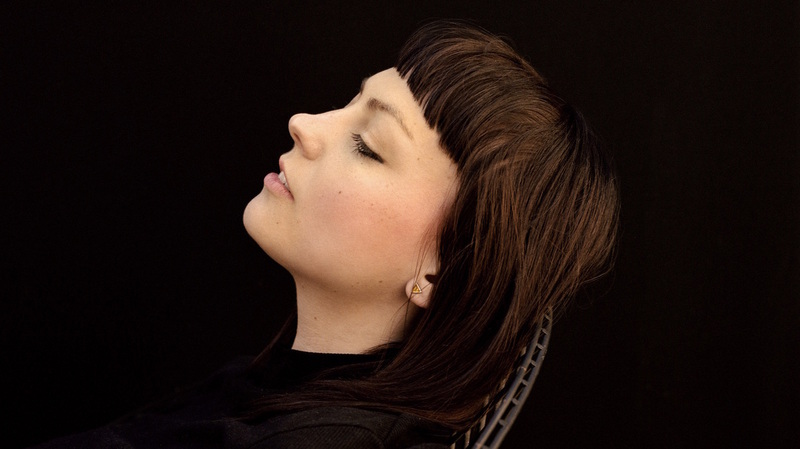 Angel Olsen Is Ready To Have Fun Olsen's music has earned her critical acclaim, but also a reputation as a tortured soul. The 29-year-old songwriter's third album, My Woman, showcases a more lighthearted side. Since Angel Olsen's first album in 2010, she's carved out a smoky, country-flavored corner of the indie rock world for herself. Her distinctive voice delivers taut meditations on love and loneliness, sometimes with a shout and other times with more of a whisper. Her music earned her critical acclaim, but also a reputation as a tortured soul — one she wasn't really looking for. Her new album puts that reputation to rest: It's called My Woman, and the 29-year-old artist says her latest work reflects the fact that she's aged a bit. "If I were to critically compare this record and the last one," Olsen says, "I would say the last record is like when you first pick up Dostoyevsky or Kafka and you're talking with all your friends and you're like, 'I understand things now and I'm going to tell people what I understand and it's going to be important.' And then this record is more like, 'I'm going to take a little bit of those things, but I also want to have fun, because fun is important to me.' "
Growing older has also changed Olsen's emotional approach to performance. She says sometimes that means performing happiness for an audience, regardless of her mood. "I think it's harder to perform something happy when you're in a bad mood than it is to perform a sad song over and over again," Olsen says. "I was a cheerleader in high school, for example, and I quit because I was not very good at being in a good mood when I needed to be. I'm still a cheerleader in a lot of ways. I still am gonna sing 'Shut Up Kiss Me,' 'Hi-Five,' all these upbeat songs. I might not be having the greatest day that particular show day." Olsen's third studio album also invites more broad reflection on her career. She says that someone asked her recently whether she felt that she had "made it." "I looked around and I was like, 'What do you do? Like, how do you know that you've made it?'" Olsen says. "Maybe when you play Madison Square Garden or maybe when you play for your mother and she starts crying and she's finally proud of you, finally in your life. I don't know. Technically, I've made it my whole life because my mom's been crying to my music forever, so — I've felt like we've made it for a while and now the band is bigger and we're about to have more fun, so in that way I feel like we're making it."